In November 2017 over 300 theologians at a conference in Boston, Massachusetts signed a Declaration deploring the corruption of Christianity in the United States. It expressed their concern about the way evangelical Christians, in capitulating political expediency and the prevailing popular culture, have deserted the true gospel of Jesus Christ and are preaching something totally incompatible with it - violence, discrimination against immigrants, Muslims and other minorities, lies in place of truth, hate and division rather than love and peace. Significantly, these theologians did not distance themselves from those they disagree with but acknowledged their share in this apostasy as fellow-Christians and fellow-Americans. It was an act of penitence, and many of them signified this in true biblical fashion by putting on sackcloth and ashes. This was surely a prophetic action. Traditional religion tends to lock prophecy into the past. There are some Christians, mostly in the charismatic tradition, who believe the gift of prophecy is given to some people today. However, most Christians, in common with Jews and Muslims, see ‘the prophets’ as a fixed succession of special messengers God sent into the world. For Jews, the age of the prophets ended with Malachi. For Christians, the 'prophets' are those in the Old Testament canon and Jesus is the culmination of them all. For Muslims, Muhammad is the final one, the seal of the prophets. The one thing they all agree on is that the list is now closed. The stories and sayings of the biblical prophets suggest a different picture. Far from being preachers of a perennial, unchanging message, most of them were very controversial figures in their time. They lived in the thick of events, admired by some and abused by others. Elijah had to flee for his life. Jeremiah was despised as a traitor. There was constant conflict between 'true prophets' and 'false prophets', and only time would show which was which. There are people in recent history we can surely call prophets: Mahatma Gandhi with his radical yet peaceful action for the India he hoped for, or Martin Luther King inspiring the world with ‘I have a dream’. Both, like the biblical prophets and like Jesus, acted out what they preached and paid for it with their lives. We may recognise prophecy today in songwriters and singers. This too is part of the biblical heritage. 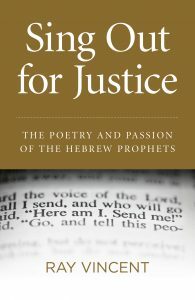 The vineyard song in Isaiah 5:1-7 is a protest in the popular style of a love song. Some of the iconic words of recent and contemporary singers – ‘the times they are a-changin’, ‘living as we used to live won’t be enough from now on’, ‘is this the world we created?’, ‘imagine…’, ‘give peace a chance’ – are very resonant of biblical prophecy. Marchers and demonstrators too are in the tradition of the prophets, who often conveyed their message through street theatre. The issues have hardly changed – injustice, poverty, war, violence, hypocrisy and the false values of society. Prophets are dreamers and outsiders. They deal in absolute values rather than pragmatism. Is it possible for a politician to be a prophet, or is the corrupting nature of power too much for a prophet to have such responsibility? Some of the biblical prophets did in fact belong to the upper classes, or at least had direct access to rulers. Moses grew up in the Egyptian royal household and spoke with Pharaoh face to face. Samuel was an acknowledged leader of the people and a kingmaker. Nathan, Elijah, Micaiah, Isaiah, Jeremiah and others conversed with the kings of their time. Elisha actually organises a coup. They seem often to have been advisers to the rulers - perhaps roughly equivalent to Cabinet ministers today, though their advice was seldom heeded. In our times we have seen many national leaders who inspired people with a vision of freedom, peace and prosperity. Sometimes, as with Hitler, it was a hateful vision that led to massive suffering. Others started off with good intentions but either became corrupt or were defeated by the practical obstacles. Only a very few – people like Nelson Mandela in South Africa or Vaclav Havel in Czechoslovakia – seem to have reached the end of their life without being a disappointment. Identifying living people as prophets is always risky. Aung San Suu Kyi was awarded the Nobel Peace Prize for her long, brave record of standing for democracy in Myanmar. She inspired people with the hope of a better society, and in that sense she was a kind of prophet. However, her failure to speak against the persecution of the Rohingya people has brought huge disillusionment. To many people Jeremy Corbyn is a prophet: to others he is a potential disaster. Only if he gets into power will he be eventually judged by his record. We cannot tell with any certainty who are the prophets for today, but this has always been so. Religion tends to portray the prophets as respectable teachers of an unchanging truth. In fact they were passionate partisans, ahead of their time, constantly reinterpreting the religious tradition and sometimes contradicting those who had gone before them. They inspired some and shocked others. Moreover, even those we now recognise as true prophets were not always right! There are examples in the Bible of prophecies that turned out to be incorrect. All we can say is that prophets are purveyors of hope. They are people who reject the accepted ‘wisdom’ of the economic and political ‘realities’, the doctrine of ‘there is no alternative’, and dare to dream that a world of peace and justice is possible. They may not be infallible, and they may not be realistic, but they hold before us the possibility that there is another way. God is still speaking through prophets today, sometimes through the obvious ones, but perhaps more often through the unexpected. Ray Vincent is a Baptist minister. He studied at Regent's Park College, Oxford, and later gained the M.Th. of Glasgow University. Ray spent time working for the Student Christian Movement in Wales. He is now retired from full-time ministry and is an Associate Chaplain at the University of South Wales.